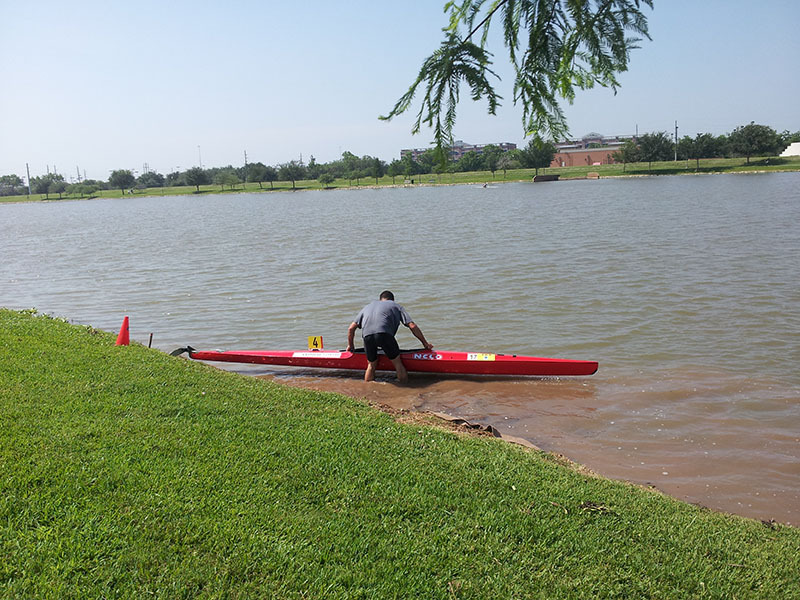 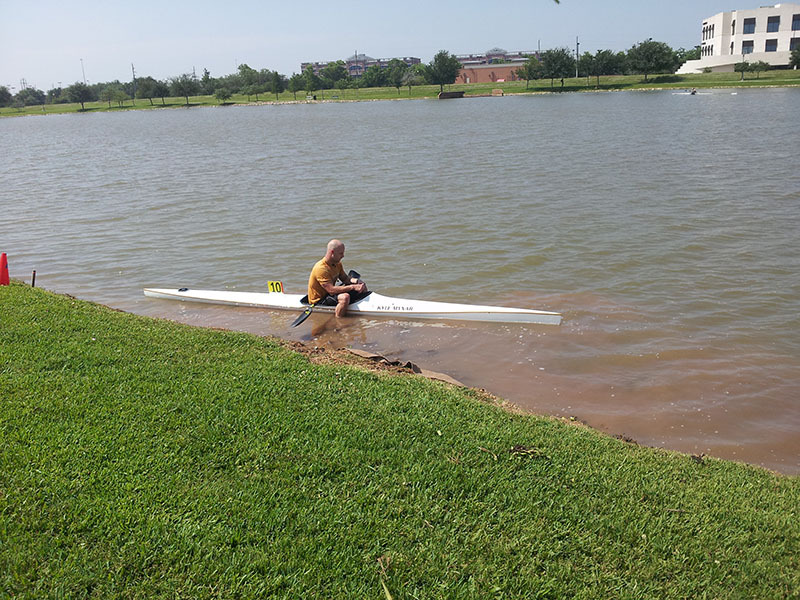 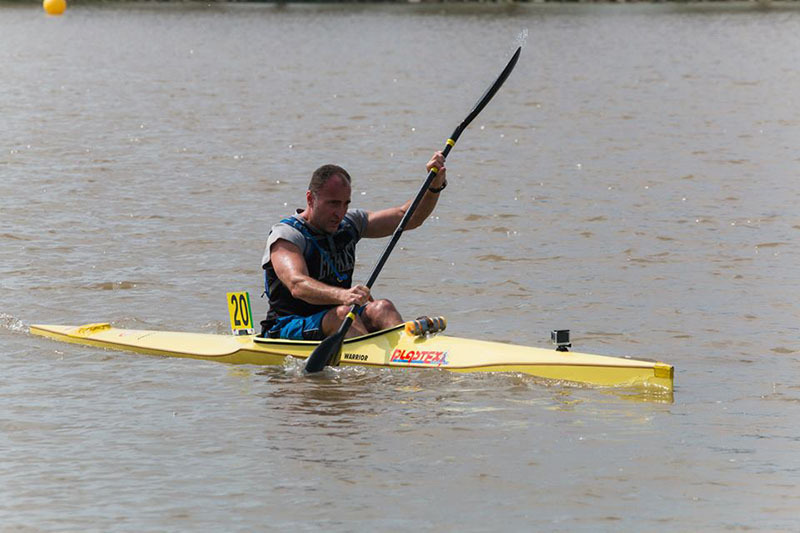 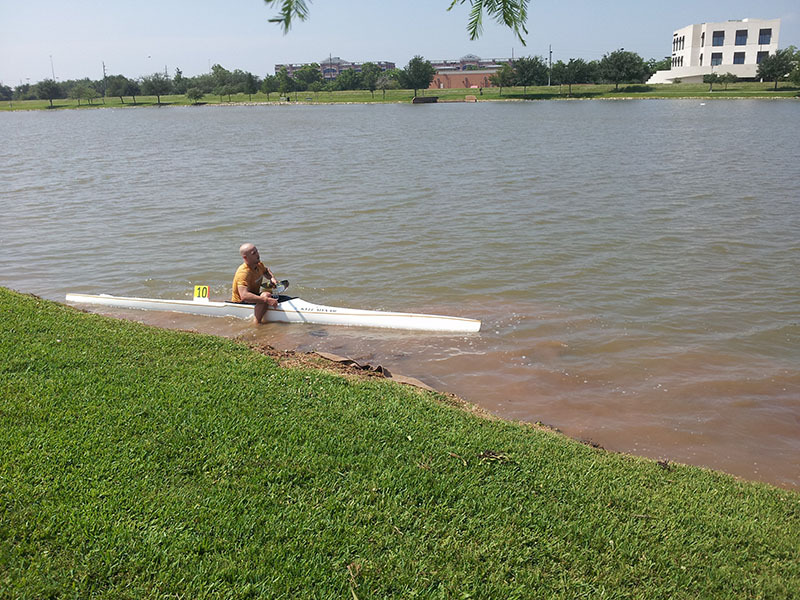 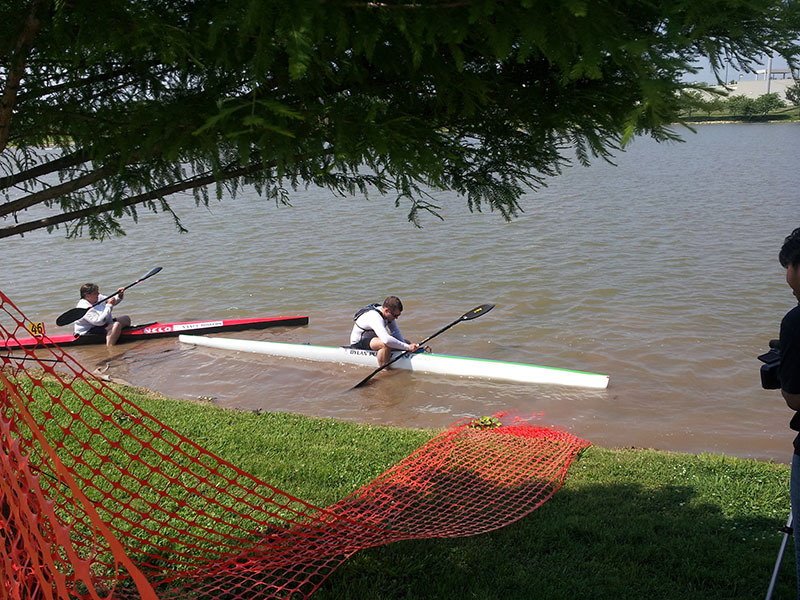 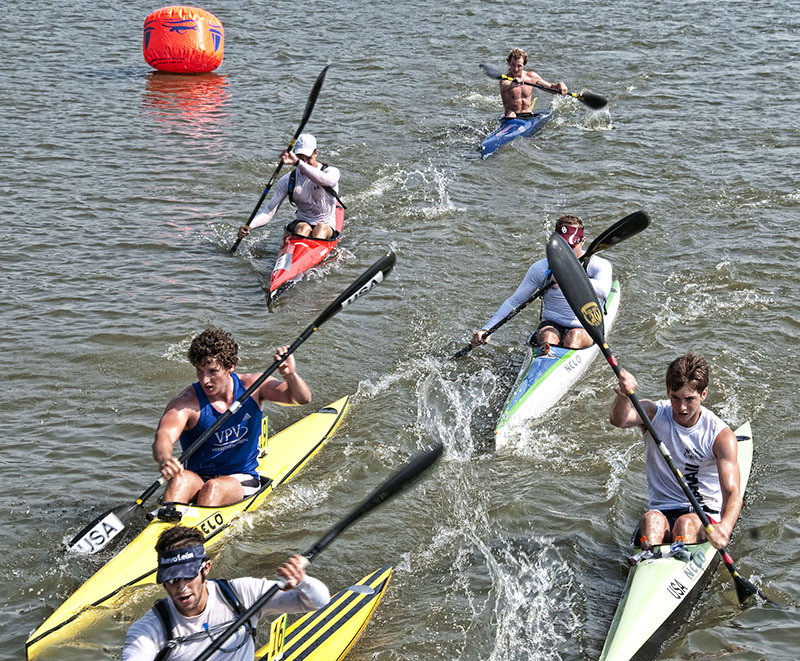 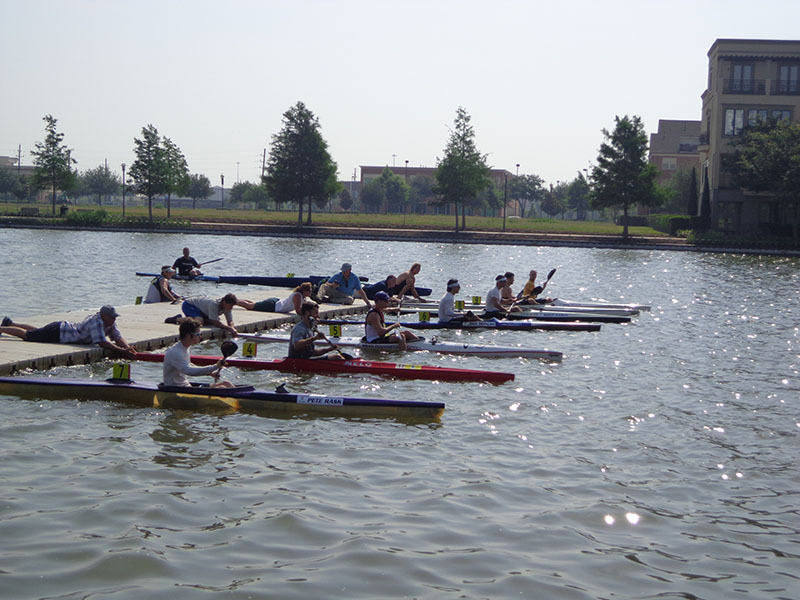 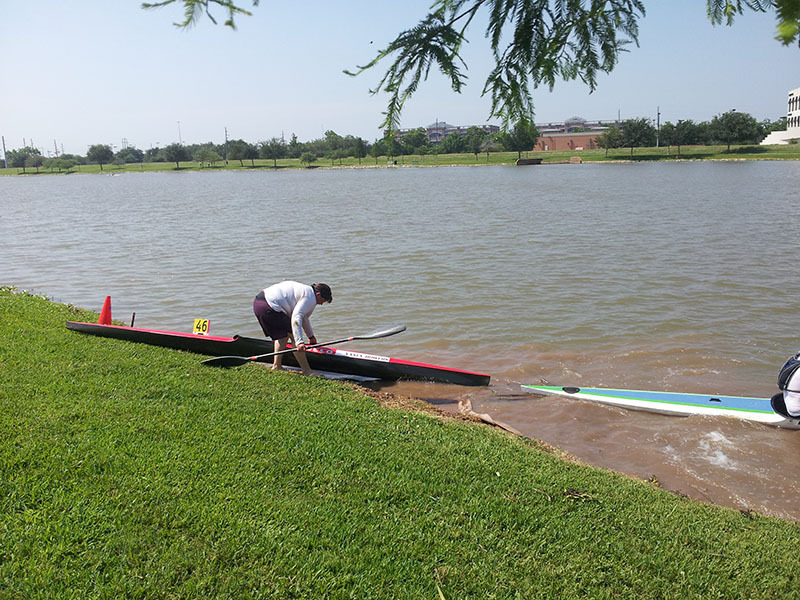 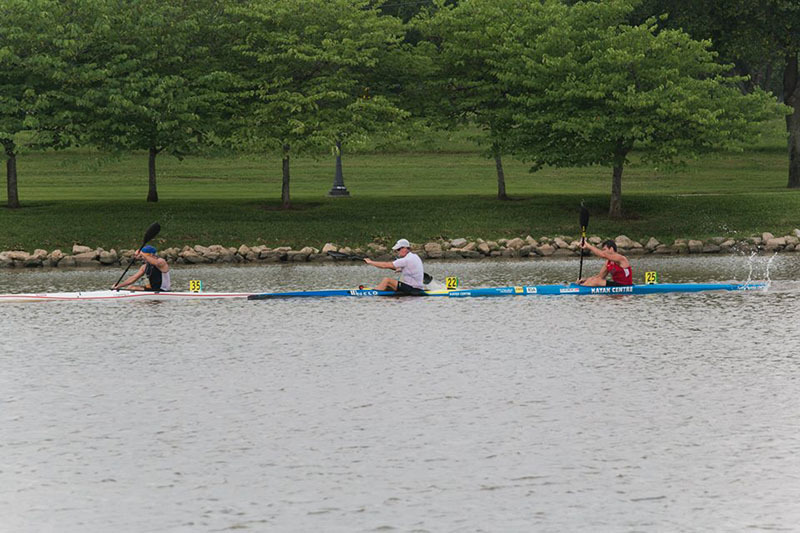 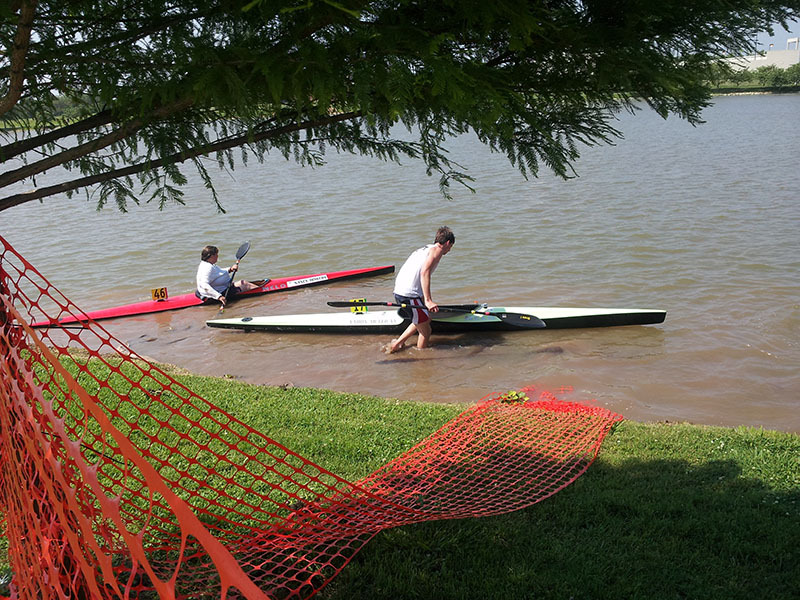 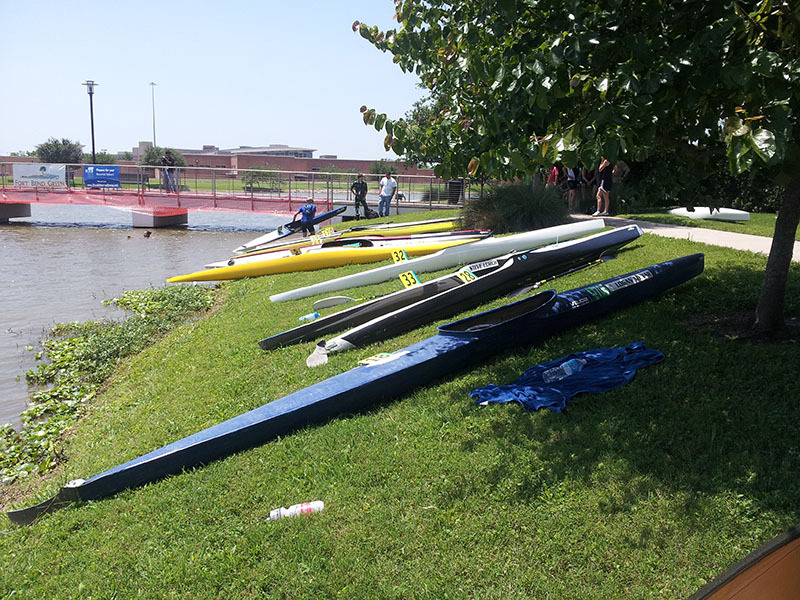 Fort Bend Green was approached by The Houston Kayak & Canoe Club to facilitate bringing the 2013 USA Canoe & Kayak Marathon Team Trials to Sugar Land for the first time. 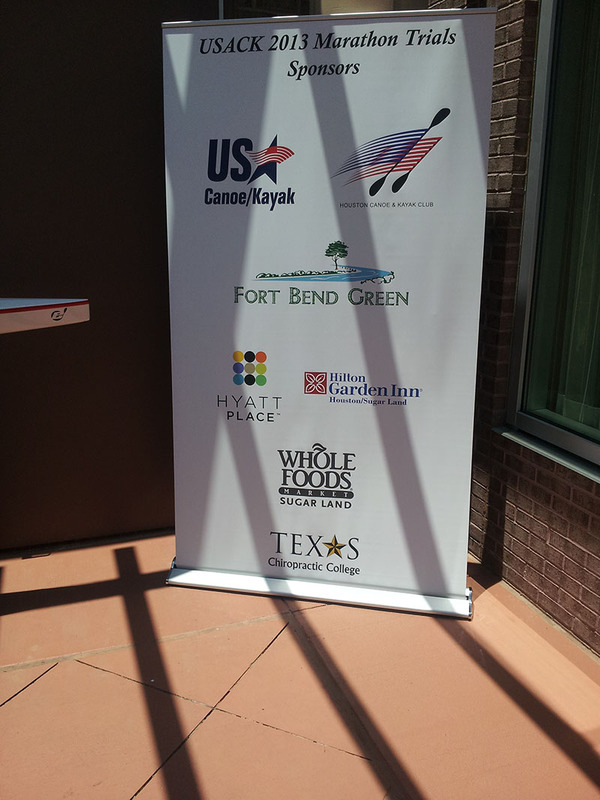 Fort Bend Green worked successfully to secure the necessary partners to have Sugar Land host the event. 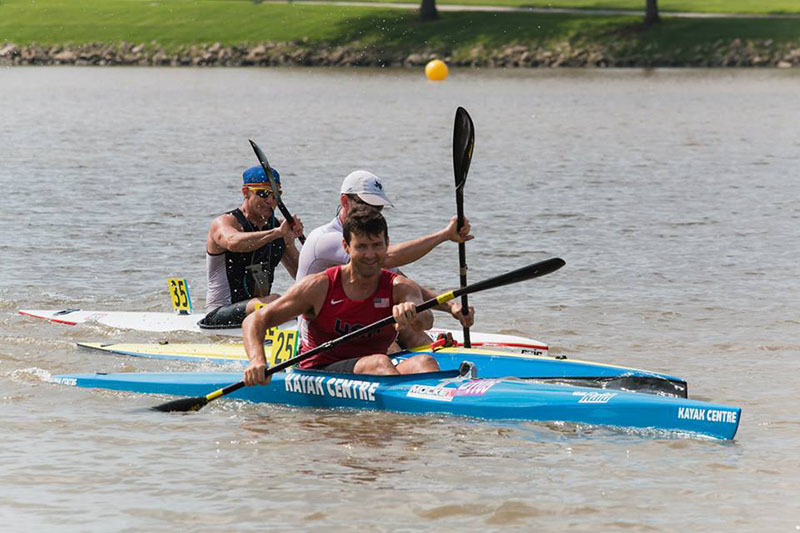 This prestigious event serves as the assessment race to determine which athletes represent the USA in the ICF Marathon World Championships. 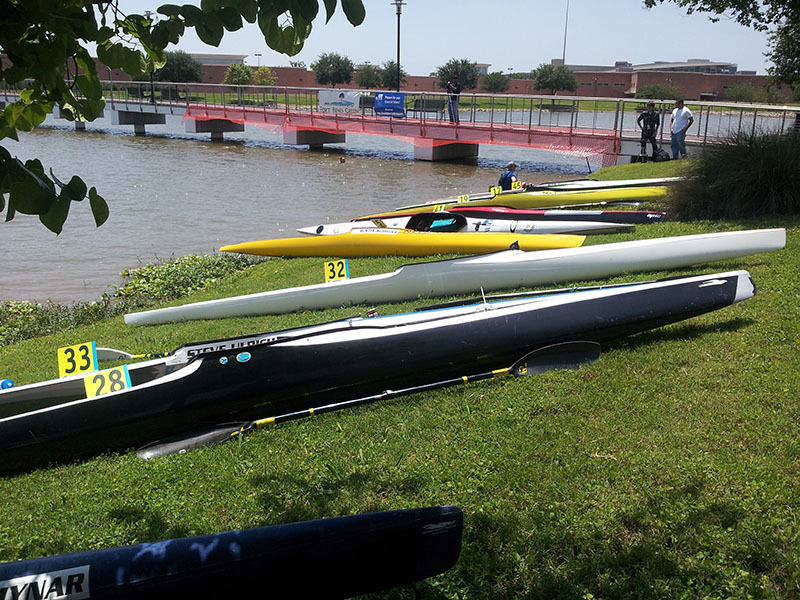 The USA Canoe/Kayak organization is a member of the United States Olympic Committee and is the national governing body for the Olympic sports of Canoe Sprint and Canoe Slalom as well as the Paralympic sport of Paracanoe. 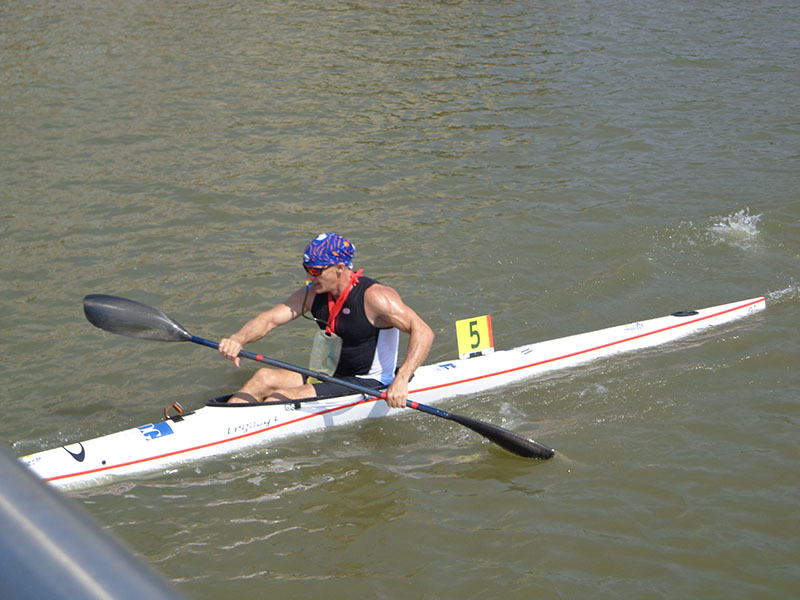 USA Canoe/Kayak is also the U.S. member of the International Canoe Federation and the Pan American Canoe Federation. 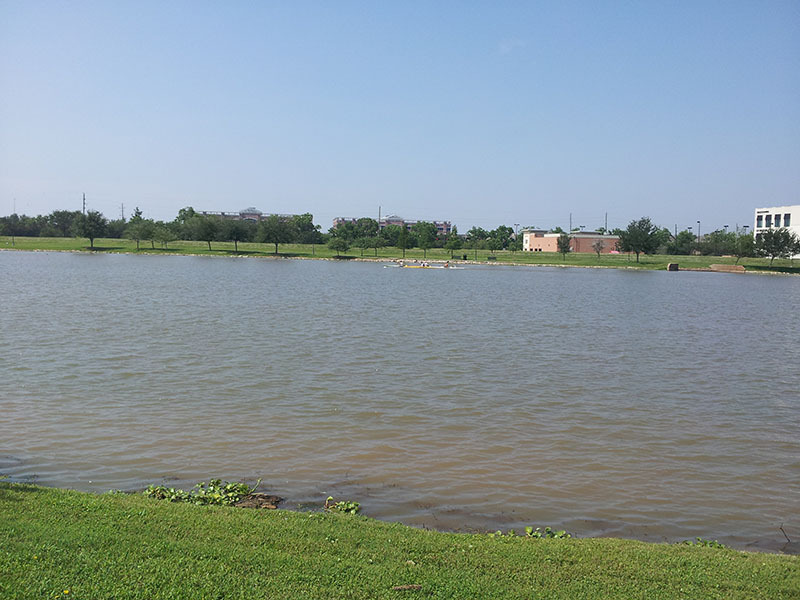 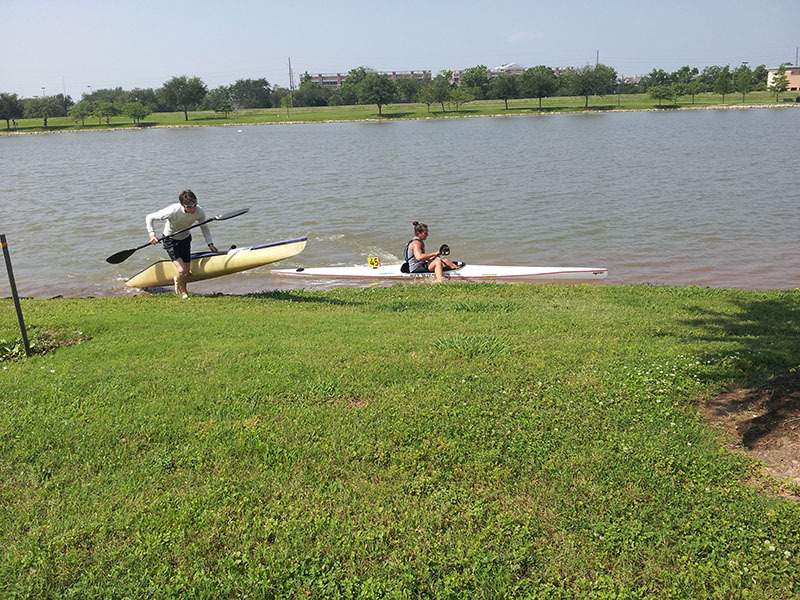 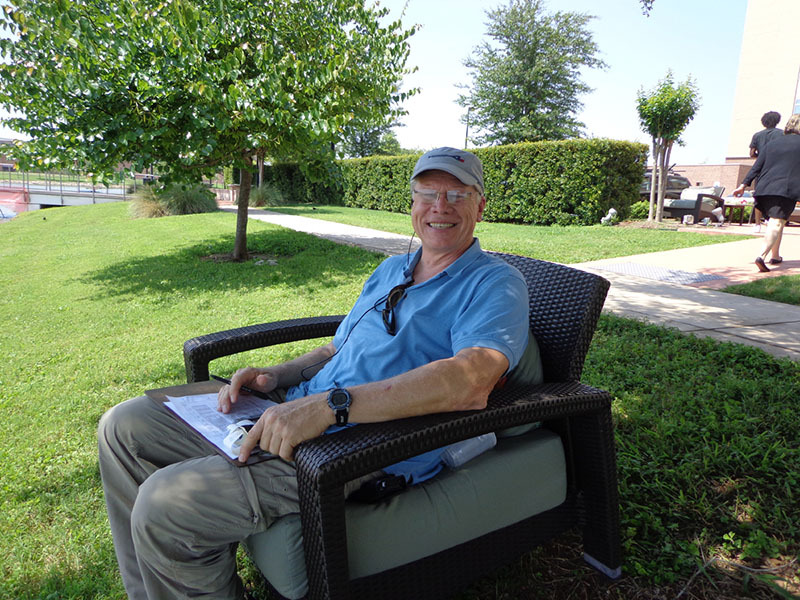 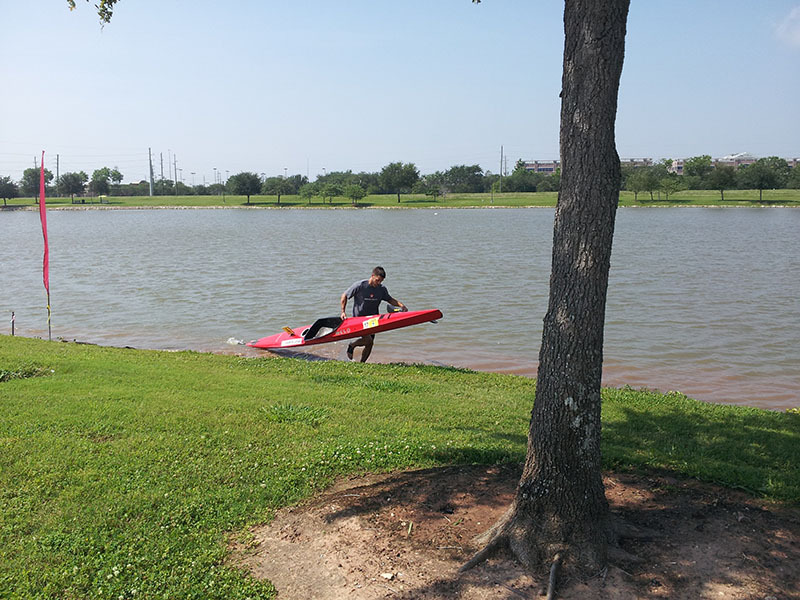 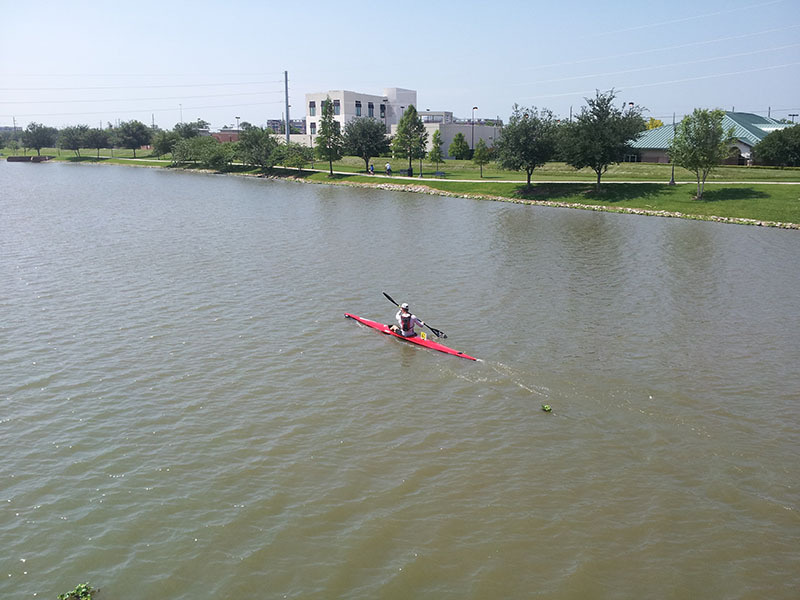 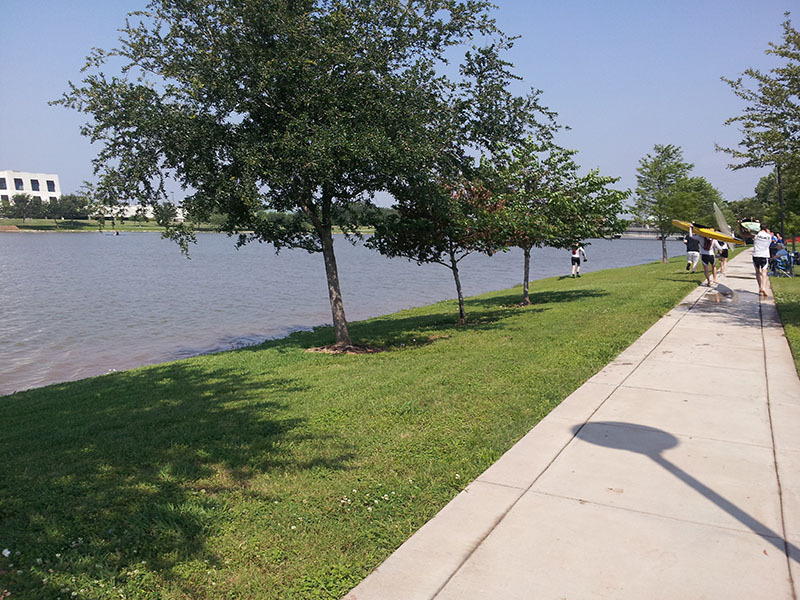 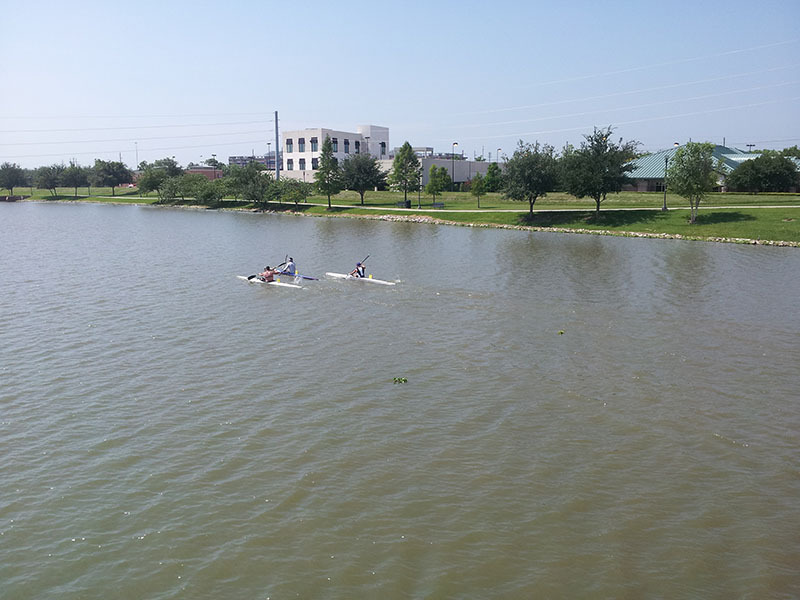 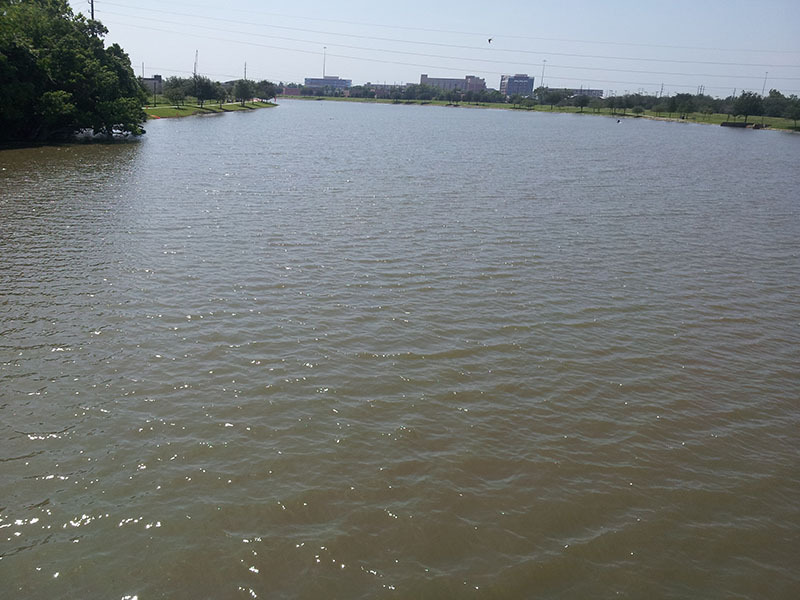 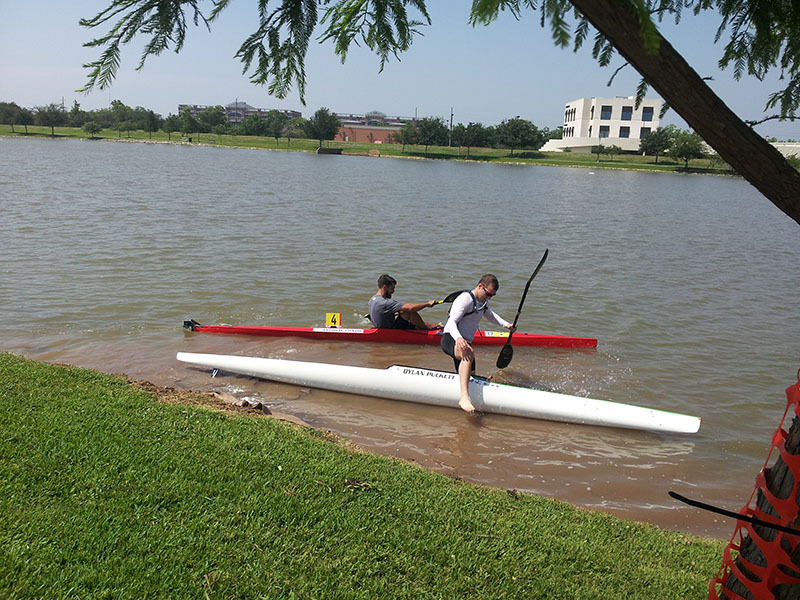 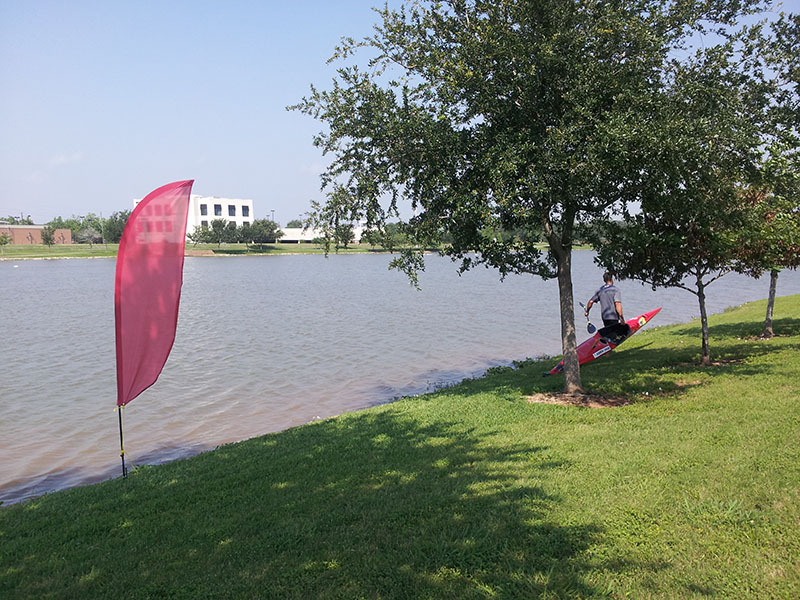 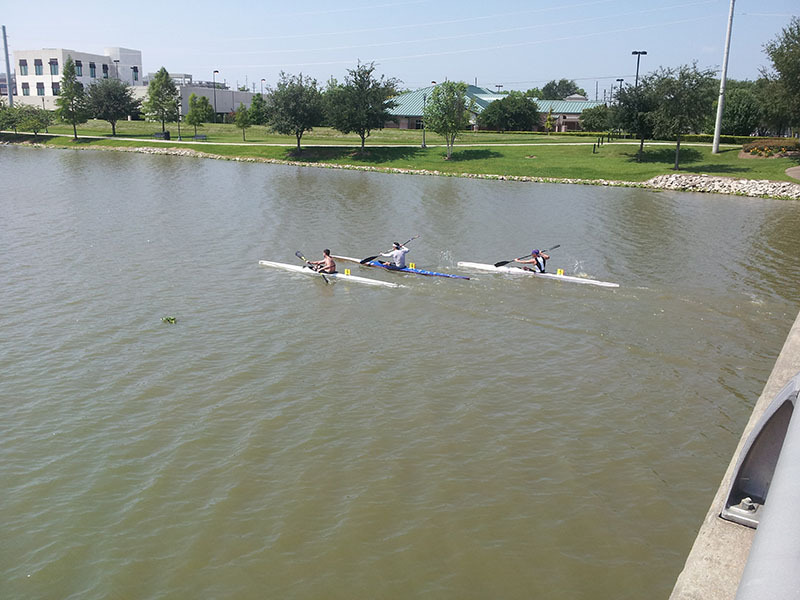 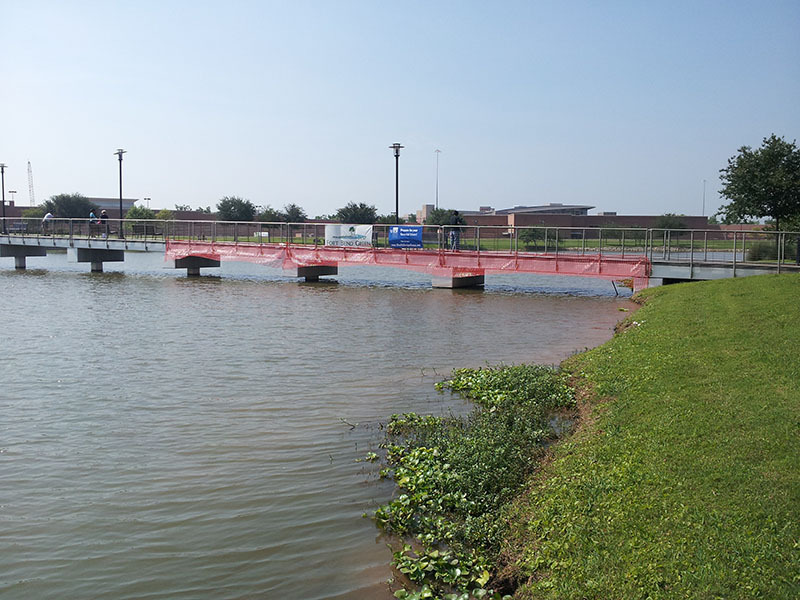 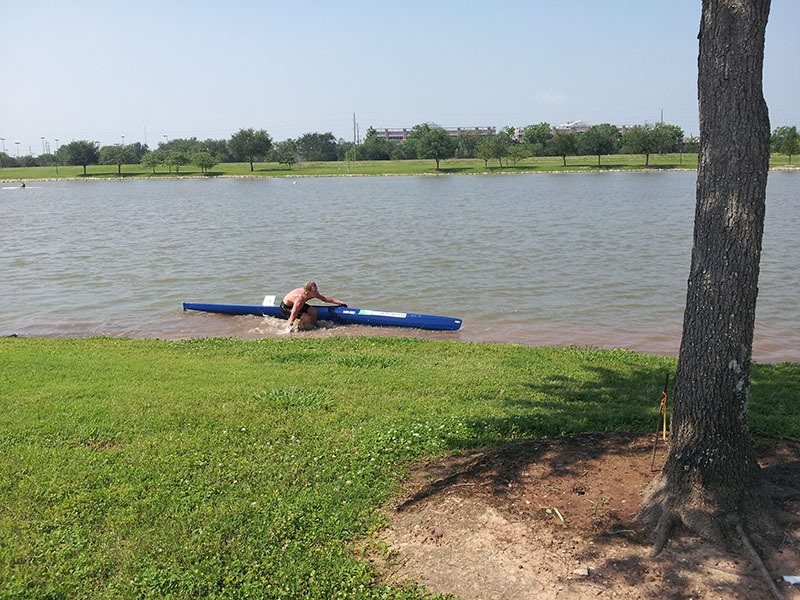 The goal of the Houston Kayak and Canoe Club and Fort Bend Green was to demonstrate Sugar Land as a premier location to hold this international event in the future. 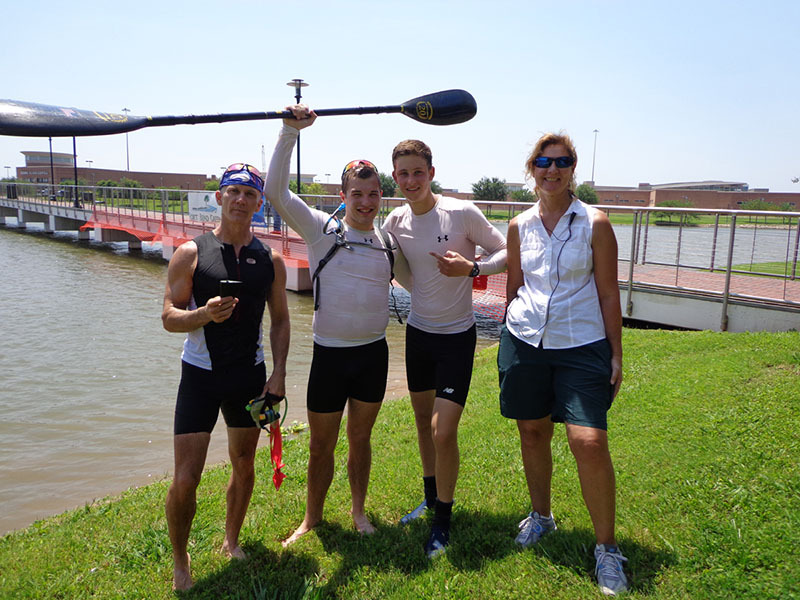 That goal was realized when the event returned to Sugar Land in 2015, and is scheduled to return in 2017. 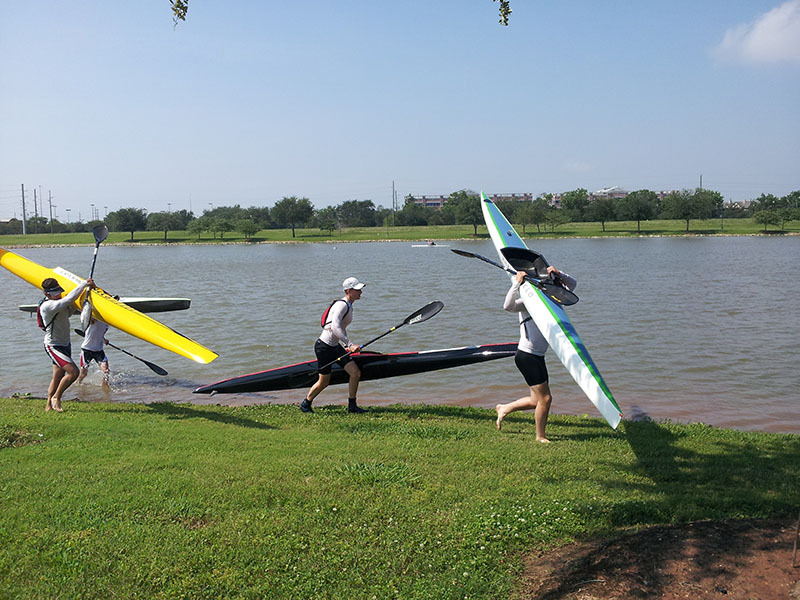 The course consists of between four and seven laps of 4.3 kilometers (2.67-miles) each depending on the racer’s classification.Brooks Lake offers unprecedented convenience for out-of-state competitors. 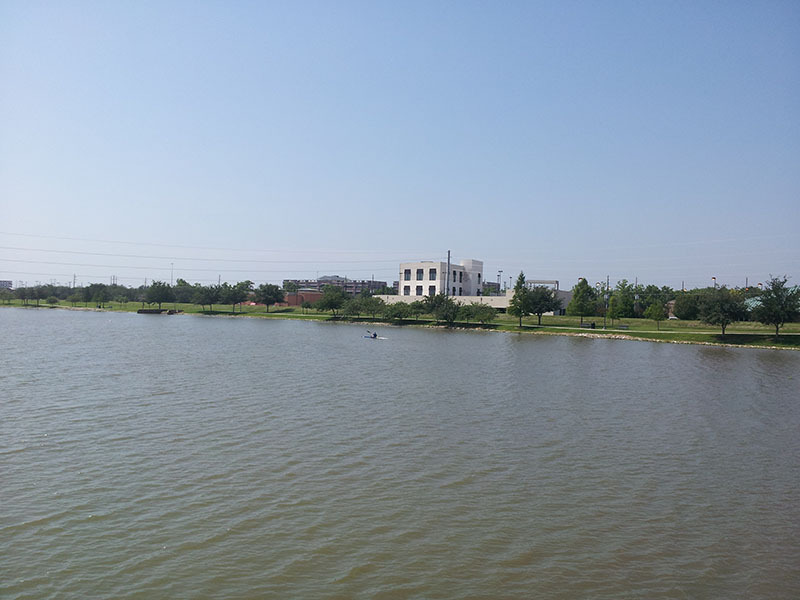 The Hyatt Place Hotel on the lakefront is the host hotel. 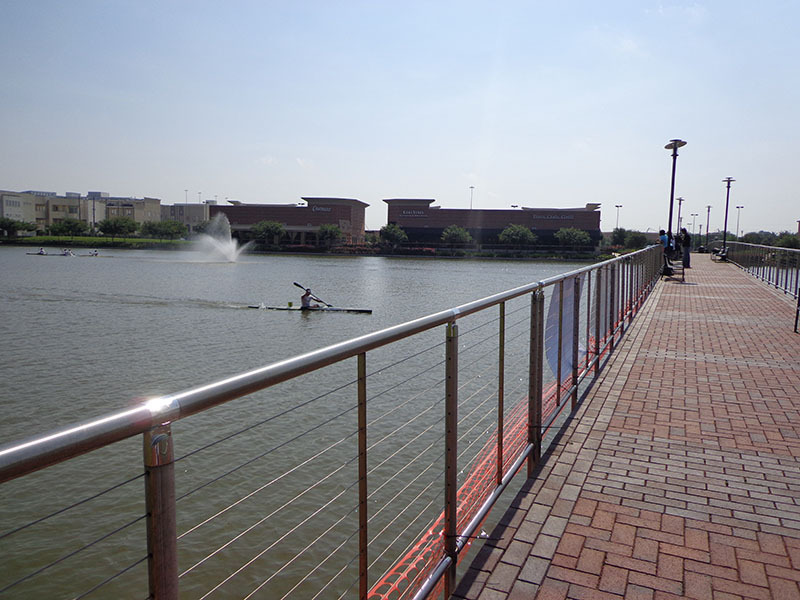 The Lake Pointe Town Center is located directly across the lake from the Hyatt, and is connected by a pedestrian bridge. 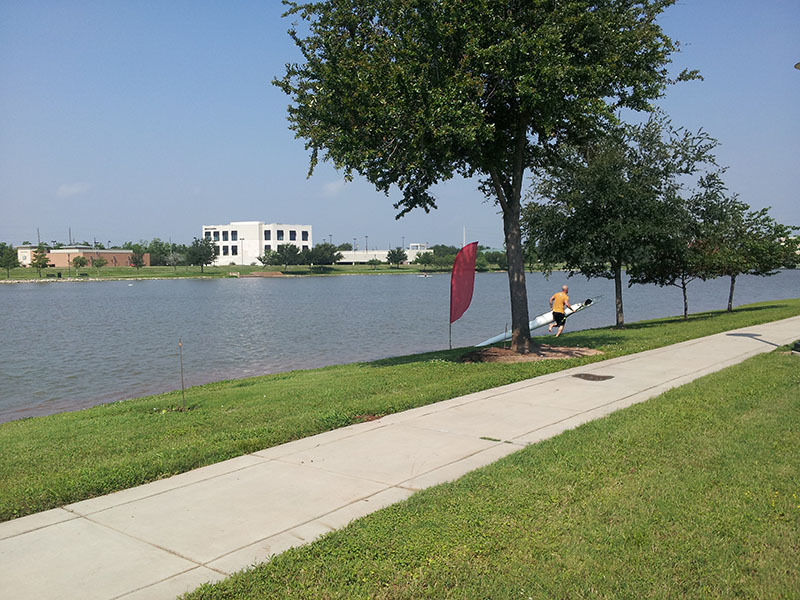 Lake Pointe includes a dozen restaurants, a Whole Foods Market, and a running and bicycle shop. 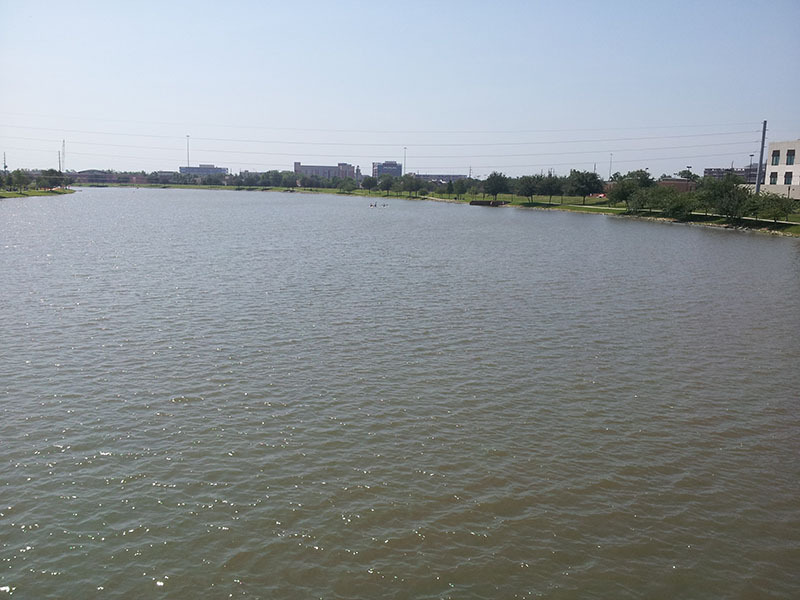 Brooks Lake is approximately 1.3 miles long before connecting to Oyster Creek. 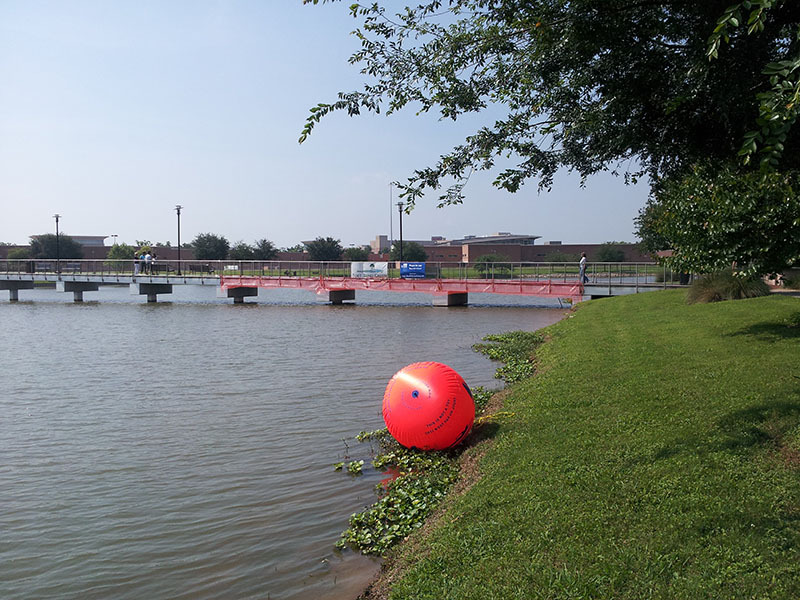 It is 10 feet deep from end to end, with only a slightly shallower section near the back buoy turn. 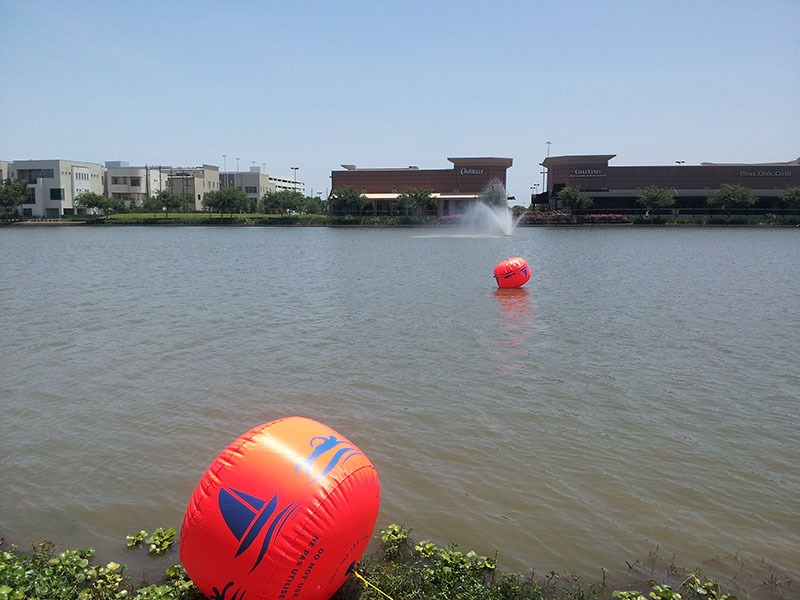 It is roughly 60-meters wide at the front & back buoy turns, and 120-meters across in the center. 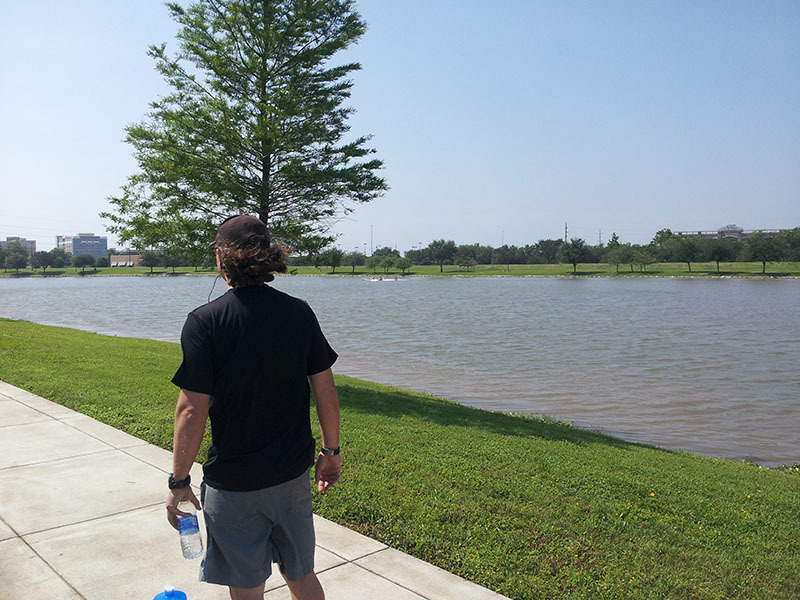 This smaller setting offers spectators a chance to witness a majority of the marathon from one location. 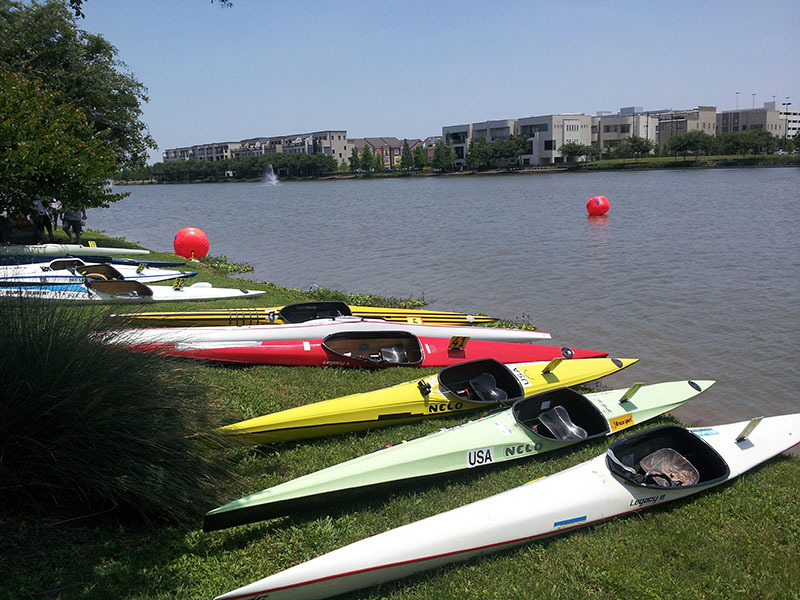 The portage is on manicured grass, with both ingress & egress on carpeted shallow inclines — safe for composite racing boats. 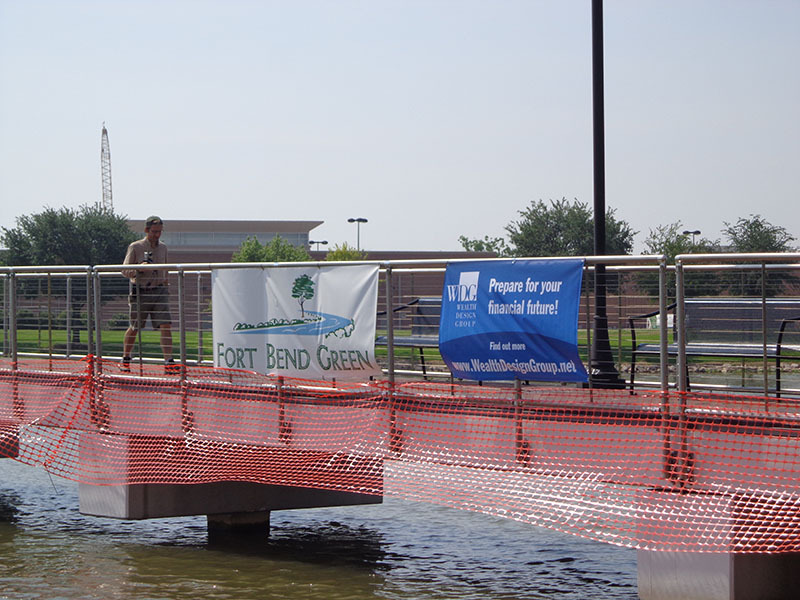 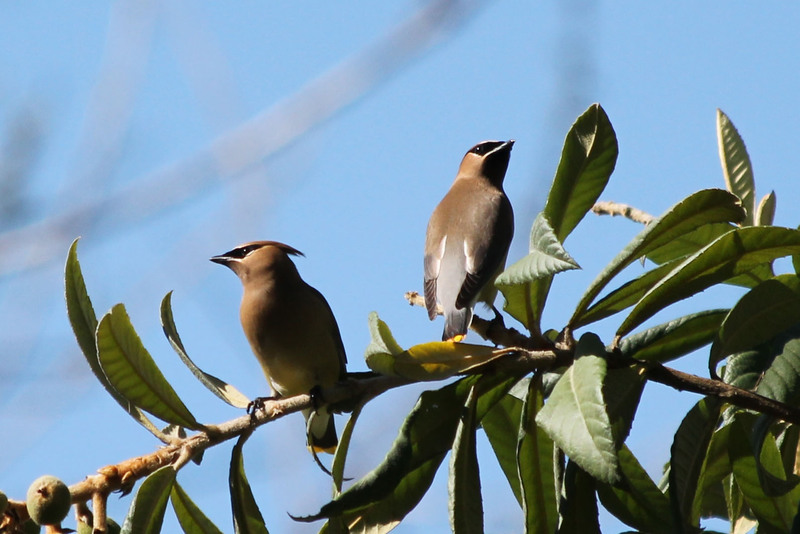 New Fort Bend Green Website!